Small Steps Project is pleased to announce its annual Celebrity Shoe Auction will be back in November, and will be bigger and better than ever. The Small Steps Project Celebrity Shoe Auction is back for it’s fifth year, with some of the biggest celebrities in the world taking a small step by donating their signed shoes to help support children living on landfill sites. 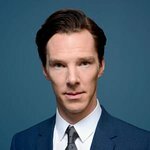 Among the stars who have donated their footwear this year are Beyonce, Benedict Cumberbatch, George Clooney, Christian Bale, Andrew Garfield, Tom Hiddleston, Natalie Portman, Jonah Hill, Jack Nicholson, Renee Zellweger, Kevin Spacey, Jodie Foster, Isla Fisher, Joaquin Phoenix, Judi Dench, Colin Firth, Joanna Lumley, Helena Bonham Carter, Vivienne Westwood, Richard Branson, Elizabeth Hurley, Sienna Miller, Ricky Gervais, Annie Lennox, One Direction, Ronnie Wood, Rod Stewart, Lionel Richie, Carrie Underwood, Gwen Stefani, Roger Federer, Andy Murray, Maria Sharapova, Didier Drogba, Rio Ferdinand, Usain Bolt, Rory McIlroy, and Ozzy, Sharon and Kelly Osbourne. Small Steps Project’s new sustainable project on Cluj dump in Romania with their partners FDP has gone from strength to strength over the past six months. Thanks to the funds raised in last years’ Celebrity Shoe Auction, they have been able to set up a Nursery and Mother & Baby unit, as well as help reintegrate the older children into main stream school. They have a fantastic team of doctors, social workers and psychologists, who ensure that the children are cleaned and fed, educated and cared for. However, unlike other dumps, Romania has harsh, unforgiving Winters. Most families live in small shacks built from scavenged materials, with no electricity. This means that minus temperatures make it extremely uncomfortable, especially for young children. Small Steps Project wants to protect these families by consistently providing warm clothing, comfortable footwear and food. This is why the celebrity shoe auction is so important. The auctions will be live for bids on the following dates: Film 2nd-16th November, Music 9th-23rd November, Sport 16th-30th November, Fashion & Entertainment 23rd November- 6th December. Find out more about how to get your hands (or feet) on some celebrity shoes, click here.